Strap and Wrap IPS high tensile baling wire is manufactured from cold rolled steel and heat treated to provide superior shock resistance. High tensile baling wire is developed as the strongest baling wire to meet the growing requirements of the recycling industry. 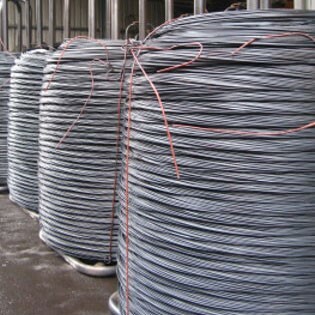 Galvanized and zinc coated wire is available offering outstanding rust and corrosion resistance. High tensile baling wire is for heavy duty applications such as bale cotton bales, tyre recycling and plastic bottle recycling. Strap and Wrap IPS annealed baling wire is available in both boxed and stem form for automatic baling application.